In a divorce, most couples are concerned with how assets will be divided. One thing they seem to overlook, though, is how the debts will be split as well. The average household has nearly $136,000 in debt. Some couples have more debts than assets. Florida is an equitable distribution state, meaning that distribution of assets and debts is done in a fair manner. Fair does not necessarily equal 50/50. This could mean that the person with more income will take on more of the debt, while the person with fewer assets may get more in a divorce. Read on to learn more about the types of debt and how they are divided in a divorce. This refers to debt that one spouse has before the marriage. This could be a personal loan or credit card. If the other spouse never uses the credit card, then the debt will be considered solely the responsibility of the cardholder. Therefore, premarital debt is not split in a divorce. Non-marital debt refers to debt that is listed in one spouse’s name only. This may include a credit card that only one spouse uses or a business loan. If only one spouse benefited from the debt, then the debt would not be split in a divorce. The spouse who took out the card or loan would be the one responsible for paying back the debt. Most debt in a marriage consists of joint credit cards, auto loans and mortgages. Since both spouses benefit from homes, cars and personal goods acquired from this debt, this would be considered joint debt. As a result, both parties would be responsible for the debt under Florida law. The debt may or may not be split equally, depending on the circumstances that led to the debt. 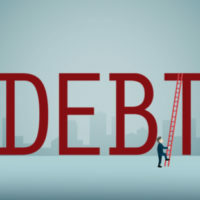 If one spouse racked up most of the debt and is known to be a reckless spender, then he or she might be on the hook for the majority of the debt. Divorces can be extremely complicated, especially where are not only significant assets, but debts involved as well. Don’t end up with the short end of the stick in a divorce. Let the Dade City family law attorneys at Mander Law Group help you split debts fairly. We can help you understand liability issues so you can avoid creditors and credit score issues. Schedule your initial consultation today by contacting us at (800) 557-0411.